Make finding your luggage a snap with a creative and personal Doodled tag! Whether you're headed for a long-haul flight or a quick weekend getaway, personalizing your luggage is the best way to help you keep track of your things! 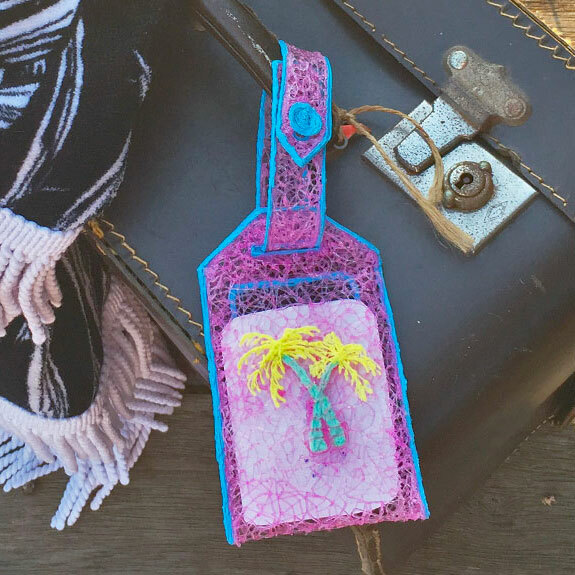 A colorful Doodled tag can help you find your suitcase in a sea of bags in luggage claim, or simply help you keep an eye on your bag while traveling. 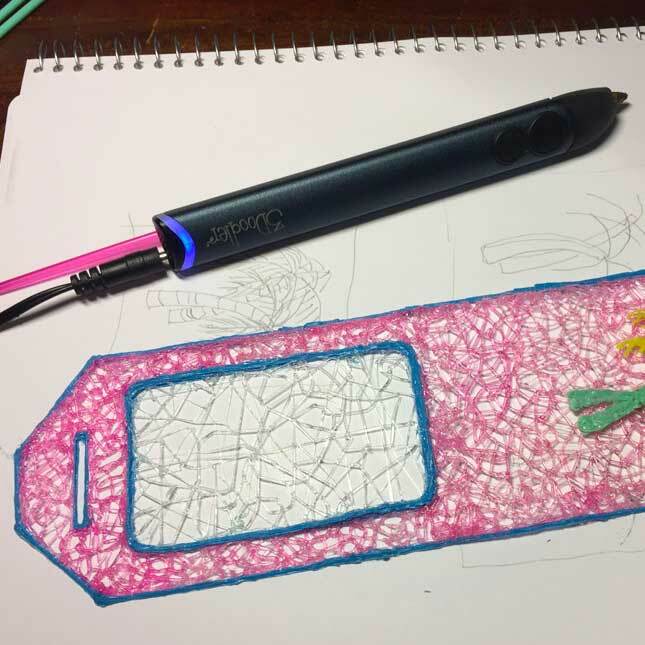 3Doodler Jet-setter and Power Doodler Erica Gray shows how to put your own personal spin on a FLEXY travel tag. Erica's template will get you started. Secure it to the back of your DoodlePad, and Doodle the outline, building up several layers of plastic to help your tag keep it's form. Fill in the inside of the stencil with FLEXY, with a clear viewing window. You can use a loose Doodled pattern like Erica, go more solid. Tip: When Doodling with FLEXY, press down on your work as you go to make sure your filament strands bond together to create an even surface. Use contrasting colors for the edge and the inside to make your tag pop! Create a nice round button with a small added shank to easily attach to your tag. Secure the button to the strap using matching colors. Tip: Be sure to secure the button well on both front and back as this is the area that's going to have the most stress and wear when you use your tag! Doodle a decoration for your luggage tag. Use Erica's palm tree, or make your own! 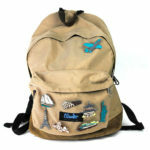 Secure your decoration to the tag by first outlining it along the outer side, and also securing it from the back as well. Tip: Doodle the decoration on paper, as it will stick a bit more and give you more control for finer details. Fold the tag in half and weld the sides together to form a pocket for your personal information.